I happen to be a huge fan of playlists because I like a good shuffle to keep me entertained. When I’m looking for music to get me through a situation in life or just a few minutes of my day, I will always turn to my playlists. When I need to enhance a particular mood or set my head on straight, a themed playlist will usually do the trick. Matt Maher, a well-known and globally respected Christian artist, has curated these three featured playlists on Spotify. It is refreshing that he has chosen to create playlists utilizing a mix of genre’s that allows us to connect to the music he enjoys outside of his own. Spotify has made it so easy for us to enjoy any type of music we desire. Creating and following Spotify playlists can provide a trusted and controlled source of music, both secular and Christian, an alternative to CCM if you will, and can still be uplifting, clean, fun and family friendly. “FOLLOW” these playlists that Maher has put together and enjoy hours of music that will energize you throughout the day. The 20 songs in this list are, as the title describes, filled with hope. The list includes specific songs that create hope from artists such as NEEDTOBREATHE, Meredith Andrews, Tenth Avenue North, I Am They, John Guerra, Kirk Franklin, Matt Maher himself and more. Don’t we all need a good dose of hope about now? From Oceans (Hillsong United) to Feel It (tobyMac) to Love Like Jesus (PawnShop kings), Maher has compiled a collection of music and lyrics that are sure to lift spirits on a rainy day or in a time when we need a healthy reminder of the hope we have in Christ. Upon review of this playlist I expect you’ll have an immediate burst of fun memories from summer’s past. When life takes you to the deep, push play on this one and breathe in the summer air that will revive your lungs and take you back a few years to when our days were much less complicated. Sonny and Cher, The Beach Boys, The Supremes and a few other oldies but goodies will take us to that vacation destination either figuratively or literally. The 30 song playlist would be best experienced lounging by the water or even better, in the water, or cruisin’ down the highway with the windows down. But if that isn’t possible for you, crank it up in your living room, grab a cool drink, sit back and relax. As Bob Marley reminds us, everything is gonna be alright. When I was a young girl, I remember my dad putting a good country record on the turntable, situating the needle just right and turning up the volume to much louder than was normally allowed in our home. My mom and my sisters and I, on cue, would join him in the living room from our various locations in the house and the two steppin’ fun would begin. We weren’t good at it but we didn’t have to be since no one was watching but us. This G.O.C.B. 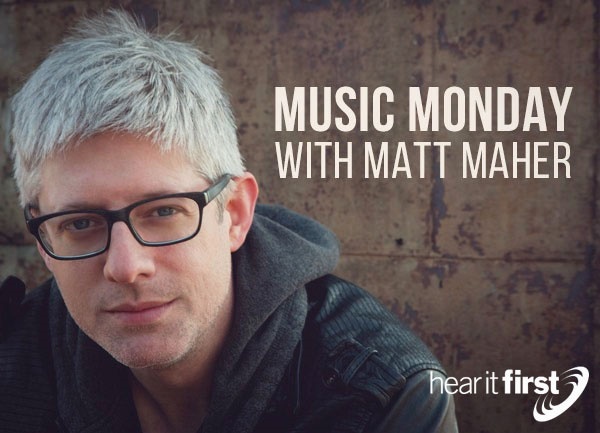 playlist curated by Matt Maher includes 24 great songs to tap your toes to. Grab your partner or your children, turn up the volume, set the needle…or rather push play on this one. A fun evening of music and dancing is sure to follow. Played straight through or on shuffle, these three playlists could be just what you need to bring smiles to your day. Start your day out right with the hope of Christ, toss your hair back, spread your arms open wide and add in a little summer lovin’ to get the breeze flowing and finish out your day with some good ole country toe tappin’. Follow these wholesome, memory making, feel good Spotify playlists that Matt Maher has shared with us and then share some hope, some summer lovin’ and a little two-step with someone you love. I’m a born-and-raised Texan who enjoys any adventure that requires a passport. As a Christ-following pilgrim, I’m a lover of stories and a connoisseur of sunrises and coffee - best when served together. I listen to a wide range of musicians with Andrew Peterson, Jimmy Needham and Bethel Music being just a few of my favorites. When I’m not writing, you’ll find me in the kitchen or spending time with those I love.